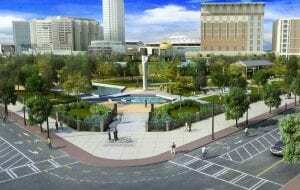 Vision for an expanded Centennial Olympic Park. Rendering courtesy Coxe Curry & Associates and the Georgia World Congress Center Authority. 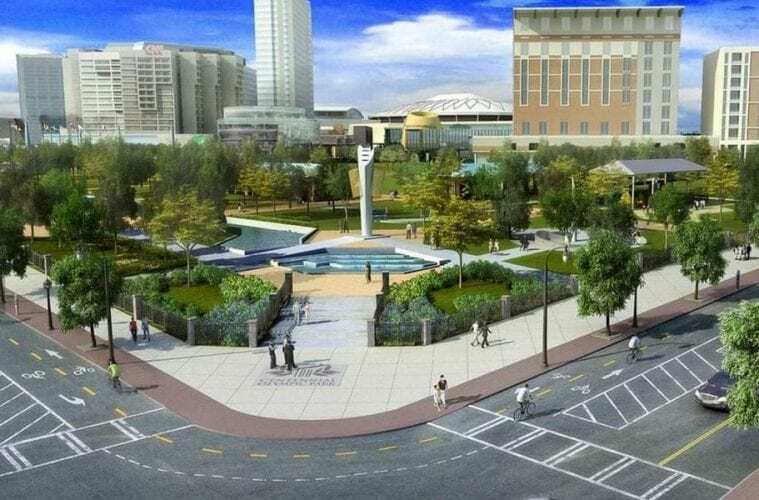 The Georgia World Congress Center Authority (GWCCA) has announced their finalists for an ambitious $25 million makeover of Centennial Olympic Park. CRJA-Rosser, DTJ Design, Rogers Partners and Sizemore-AECOM are the four finalists whose proposals seek to upgrade the 21-acre park which debuted 20 years ago for the 1996 Summer Olympics. The plans include the creation of a pedestrian gateway which will stretch from the edge of Atlanta’s Downtown hotel corridor to the front steps of the College Football Hall of Fame on Decatur Street. The majority of the campaign, approximately $13 million, would be used to demolish the existing Metro Atlanta Chamber building and convert the land into additional park space. The remainder of the funding, raised by the Robert W. Woodruff Foundation, the GWCCA and a second-wave of the 1996 brick-buying campaign, will pay for upgrades such as a new operations building, a transformation of the park’s entrance and amphitheater expansion. An array of notebooks from artist Steven L. Anderson’s collection, now held by the Rose Library. Photo by Paige Knight, courtesy Rose Library at Emory University. 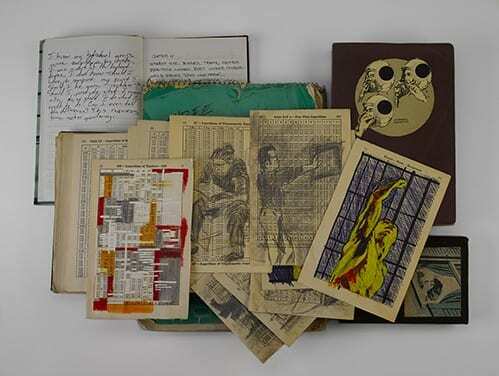 Atlanta artist Steven L. Anderson’s 39 artist notebooks are the inaugural entry in an on-going collection of Atlanta-based artists’ notebooks and sketchbooks at Emory University’s Stuart A. Rose Manuscript, Archives, and Rare Book Library. 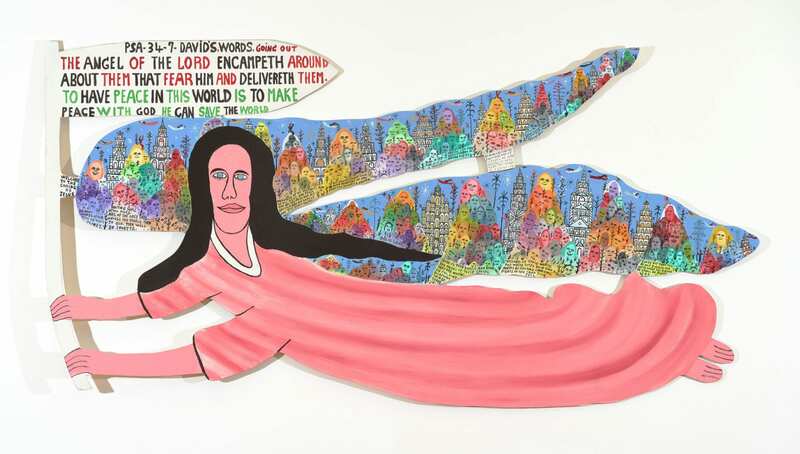 Anderson’s 39 notebooks, which range from 1993-2015, will join the ranks of local artists including Benny Andrews, John Biggers, Lucy Stanton, Camille Billops, Amalia Amaki, Mildred Thompson, Samella Lewis and several others. 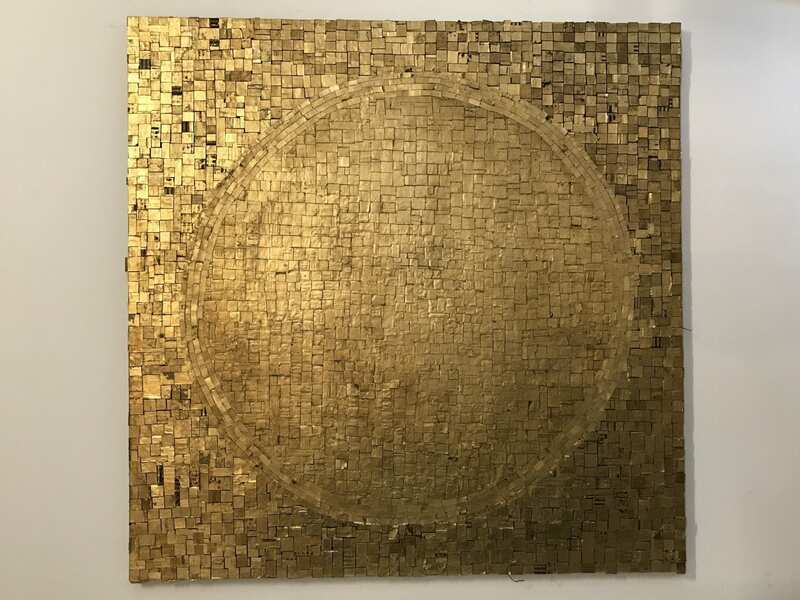 Anderson’s work is currently part of The New South at Kai Lin Art, Atlanta Contemporary, where Anderson was a former Studio Artist. Anderson is currently represented by Poem 88 Gallery in Atlanta, is a 2015 Hambidge Fellow and a 2014-15 Walthall Artist Fellow. In response to the diversity gap within the museum industry Spelman College has announced the launch of a new curatorial studies program. Funded by the Andrew W. Mellon Foundation, the program began with 10 students, nine from Spelman and one from Morehouse College, in January 2016 with an introduction to curatorial sciences course. The program is a collaboration between the Spelman College Museum of Fine Art and the Department of Art and Art History. Its students will spend the next two years surveying global museum and exhibition history, examining the role of contemporary art within today’s museums and participating in paid summer internships at museums in New York City, Washington, D.C., Los Angeles and Atlanta. 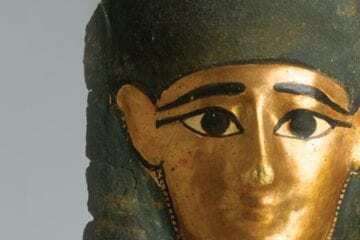 “The students are extremely excited, and this is an ideal time for us to invest in this next generation of highly-skilled and innovation-driven museum professionals,” said Dr. Mora Beauchamp-Byrd, visiting assistant professor of art history and curatorial studies. Beauchamp-Byrd is also an art historian, curator and arts administrator who will oversee the new initiative. 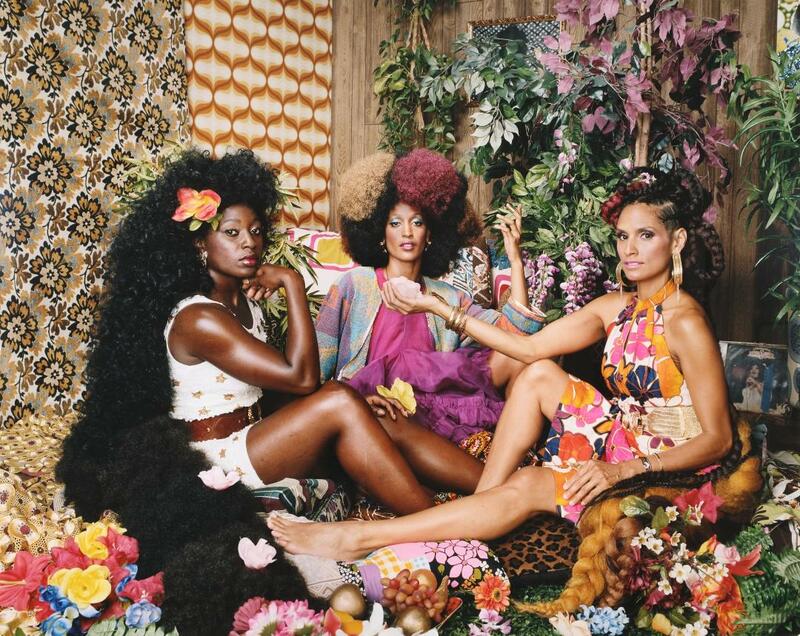 Elsewhere, Greensboro, North Carolina’s living museum, has announced its 2016-17 Southern Constellation fellowship, which included five Atlanta artists. Southern Constellations (SOCO) is a month-long residency at Elsewhere, that allows fellows to explore experimental practices and networks of southern artists and makers. Atlanta artists Cosmo White, Alex Meiser, Davion Alston, Justin Rabideau and Ben Bowden Lee will be taking part in the experimental fellowship throughout 2016 and 2017.